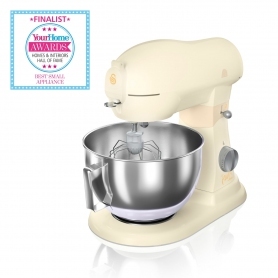 Designed by Swan in collaboration with TV Personality and trend-setter, Fearne Cotton, this striking stand mixer makes a bold statement in any kitchen. It’s available in four stylish pastel shades and comes with a selection of accessories for endless cooking possibilities. The included 6L stainless steel bowl means there’s a generous capacity to mix a large amount of ingredients, perfect for batch baking. Simply choose which attachment you want to use, add your ingredients, and get mixing. To make it all a bit easier, the bowl features a handle. With a powerful direct drive 1500W motor, you’ll get perfectly mixed results in no time. 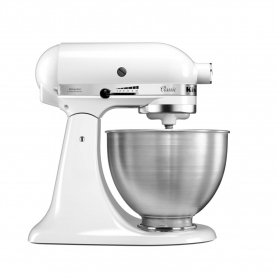 When combined with 12 variable speed settings and intensive planetary mixing action, you can mix multiple ingredients. 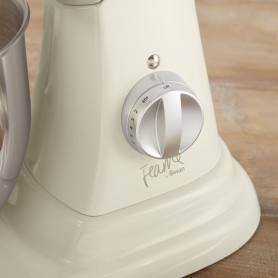 Whether you’re perfecting dough or whipping up a fluffy meringue, this excellent kitchen accessory does it all. 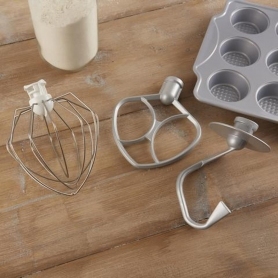 For added versatility, switch between the included wire whisk, dough hook and flat beater. With optional extras including a pasta maker, meat grinder, and vegetable slicer, the opportunities are endless. 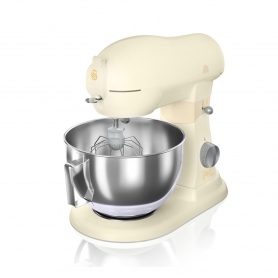 As the SP32010HON is a tilt head mixer, it’s easy to change and remove the accessories. Fearne by Swan is a stunning range of kitchen accessories, all available in four pretty pastel shades. Coordinate everything from your kettle to your toaster with retro-inspired designs. It’s the perfect choice for those who love to get creative in the kitchen, as well as those who love to keep their home stylish. 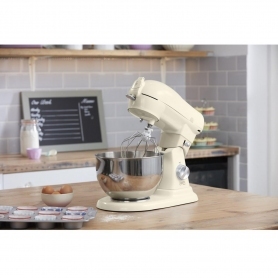 Add a pop of colour to your worktop with this superb stand mixer. With a full aluminium die-cast body, this great model is durable and built to last. It also has the high quality and performance you’d expect from Swan. What’s not to love? 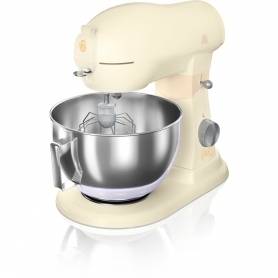 Let this beautiful stand mixer take pride of place in your kitchen. Add one to your basket today.